is the coat on the wanderer's back. In secret fear he would be slow to return. over the darking mangrove flat. The hills as heavy as skulls. New Vessels, Lines 1 - 9. 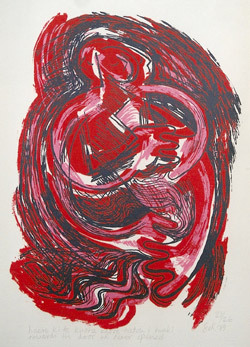 1989, silkscreen, 40 x 26 cm. Edition of 26.
and how the mortals learn to pray. towards the door we never opened. New Vessels, Lines 33 - 40.
terug naar deel twee van de 1998 tekst over mijn werk. 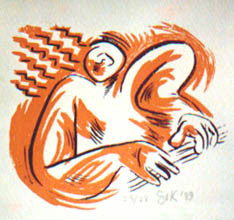 1989, silkscreen. Edition of 28. 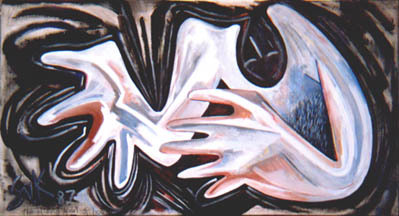 1987, acrylic on canvas. 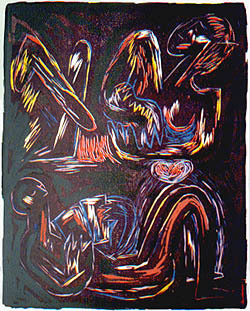 200 x 100 cm. and leaning into the dark. New Vessels, Lines 83 - 86. 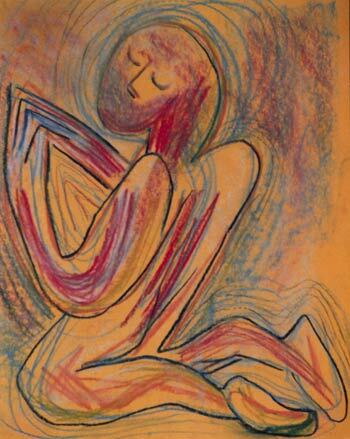 1987 pastel drawing. 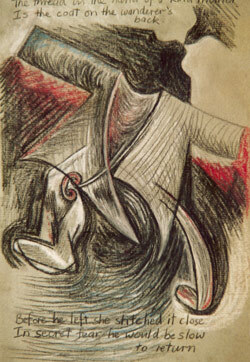 Scanned and developed as a computer print for the 2008 version. 50 x70 cm. Edition of 17. New Vessels, Lines 97 - 102.